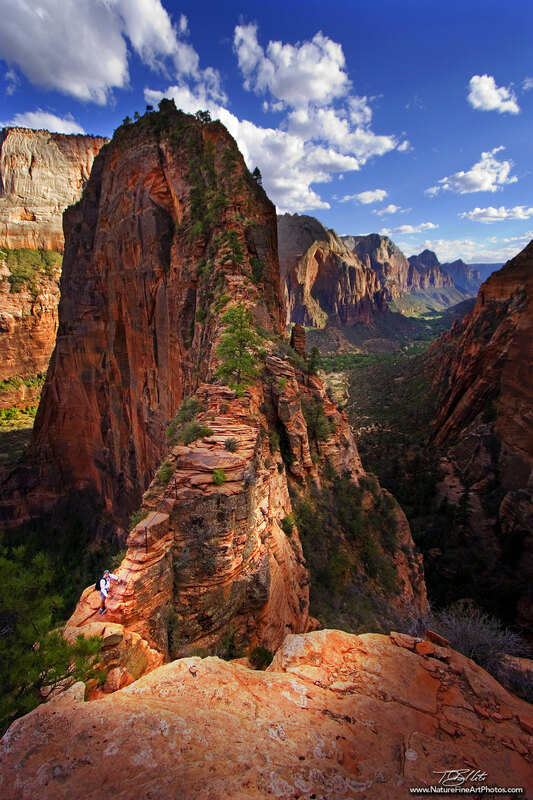 I captured this photo looking out to Angel’s Landing and across The Valley of Zion. The hiker depicted in the lower left is reaching for the security of the chains as he crosses the rock bridge that spans a 1500 foot drop. The combination of evening light and clouds painted the scene with shadows and highlights. This is a must-do hike!